We are developing a series of apps to benefit veterinary professionals. Now treating dogs with heartworm disease is more straightforward than ever. With the new web-based AHS Treatment Plan app you have the precise regimen you need at your fingertips. 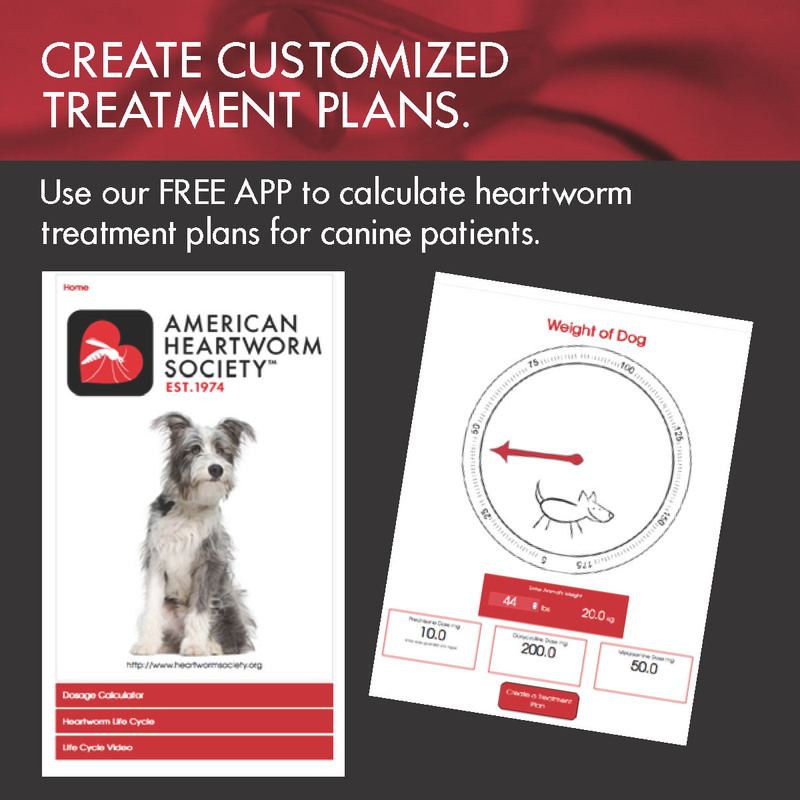 Announcing a new AHS Treatment Plan app that helps you create customized canine heartworm treatment regimens using your tablet, smartphone, or other electronic device. Select drugs, calculate dosages, and customize therapy for individual pets with heartworm disease. The uncomplicated app design makes it easy to use right in your office with the patient and owner present. Print a hard copy for your client — or send the plan directly to their smartphone. Use the app for client education, too. Along with the dosage calculator and detailed, step-by-step display of treatment phases, you'll find a clearly illustrated heartworm life cycle chart and video for use when explaining how heartworms infect a pet. Treatment plans are based on the new AHS Current Canine Guidelines. To use this FREE web-based app now, click the link below or visit www.heartwormtoolkit.com. For iOS devices, browse to www.heartwormtoolkit.com, then choose "Save to Home Screen." For Android devices, browse to www.heartwormtoolkit.com, then select "Save Bookmark to Home Screen." For PC or Mac, browse to www.heartwormtoolkit.com, use CTRL+D.